Driving a European brand requires a special place for the auto service you need in Abilene, TX. The brands and models that are made in Europe require a different type of care from the domestic brands we know. If you’re driving one of these foreign brands you need the team of experts when it comes to European auto repair. This means you need to bring your car to the best European car shop in the area which is Procter Automotive; where you’ll have the service you need. 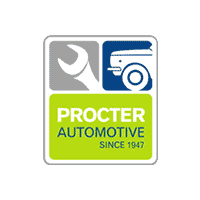 Procter Automotive has built a reputation for being the best team for European auto repair in the area. This is the leading European car shop because they’ve been performing the European auto service needed in Abilene, TX longer than any other team. For nearly seventy years residents of the area have brought their vehicles to Procter to be taken care of. This location boasts a friendly staff and qualified and experienced experts that can handle the work that’s needed for the brands from Europe. Don’t trust just anyone with your vehicle; come see this team for your automotive service and repair needs. If you’re driving a European brand, you need the right car shop to help you keep your car on the road. The team at Procter Automotive is the right place for the European auto service and maintenance that you need in Abilene, TX. This team of experts will provide you with the right service while you own your vehicle to make sure you can enjoy the ride on the road. If you need your European brand vehicle fixed, the best place for the auto repair you need is the same place you receive your regular service from, making auto repair easy. Bring in your vehicle for an oil change, a wheel alignment, brake service or even a transmission repair.